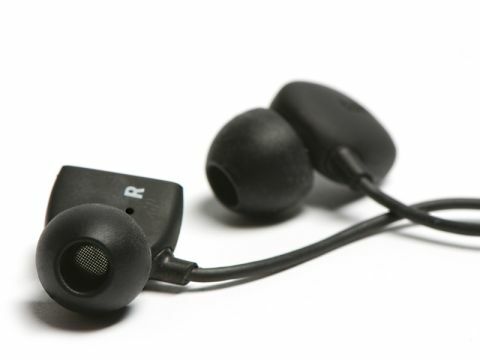 Dedicated to headphones and earphones, Jays designs in Sweden, but manufactures in China, maintaining several ranges of products each of which is closely targeted, for instance at the phone/ music-player user. The t-JAYS range is where the hi-fi lives and boasts a 10mm driver and an angled sound tube, in an assembly which is shown on the company website as nestling securely in the ear. We didn't quite manage to duplicate such secure mounting but with a little experimenting with earbuds (several sizes are supplied) we contrived a comfortable and secure fit. The cable is quite short, though an extension is provided and there's a neat little toggle which can be used to adjust the amount of cable that's split. We enjoyed the sound of this model, but in general would have liked a little more insight and precision. Even after extensive fiddling and prolonged listening, we couldn't persuade ourselves that the bass is entirely honest: it seems more than a touch over-present and, perhaps more disturbingly, generalised in quality. That is, it's easy to hear that bass is there, but sometimes tricky to discern which instrument is playing it. Midrange is more exact and, at best, quite pleasingly detailed, but it still lacks some of the finesse we've heard from other models. Treble is quite well-balanced, perhaps a shade bright, but not worryingly so and very informative.